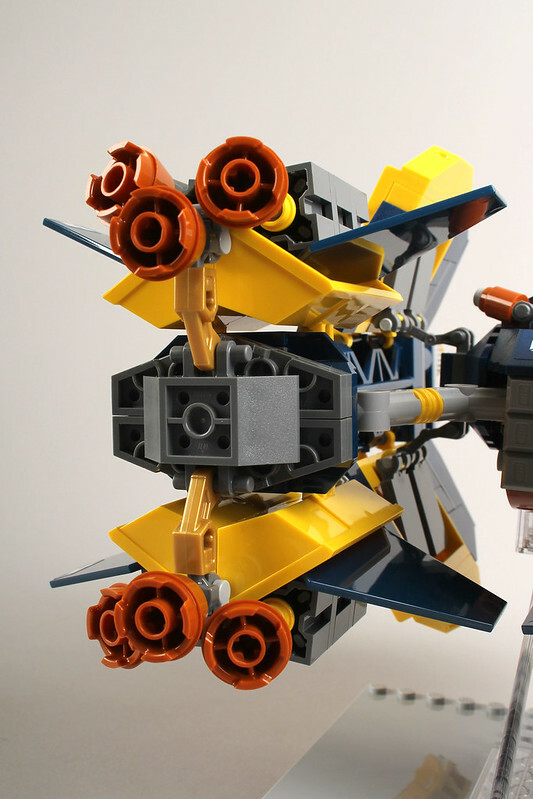 This MOC by Leonardo Lopez leapt out at me immediately because of the distinctive dark blue and yellow colour scheme, the unusual arrangement of the cockpit and the unconventional design. 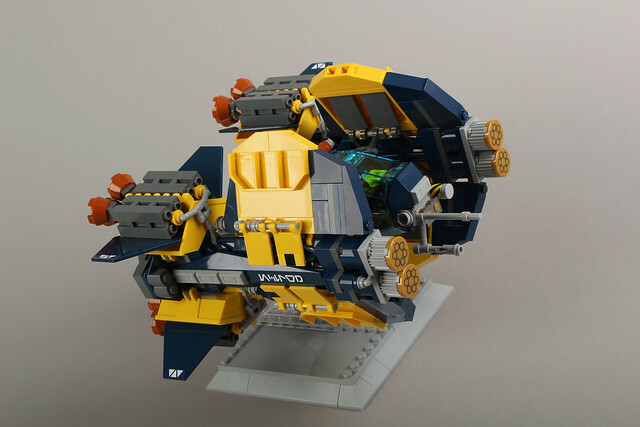 It looks like nothing I’ve seen before, yet manages to look functional and utilitarian. It also has about 900 incredible uses of unusual parts, like these yellow scoops off tipper trucks used in the engine blocks. Mind = blown.